What do you remember of these businesses at 606-608 Main? 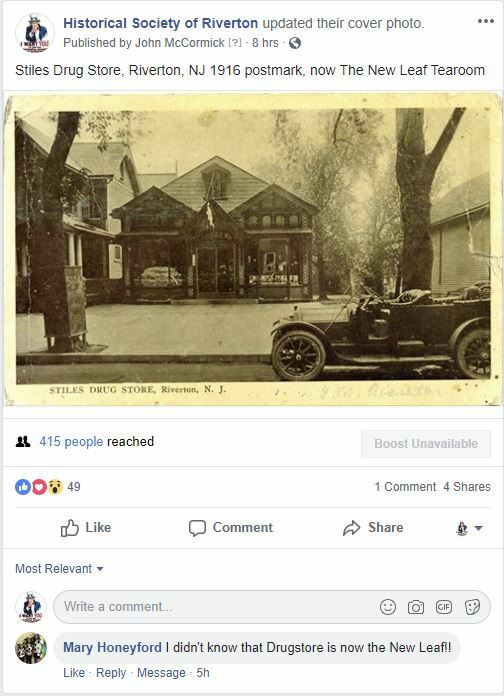 Two recent posts of old postcard scans to Facebook prompted several hundred views, a few dozen “likes,” a handful of “shares” and some comments. To help you get your bearings, I include a few more images here along with a History of 606-608 Main Street that was last revised in 2013. Mary Honeyford is often counted among the names of those liking our posts on Facebook, and she said she did not know that the drugstore pictured in the old postcards was now The New Leaf Tea Room. We are happy to dig deeper than that, Mary. Dana Feigenbutz took over The New Leaf Tea Room from former owner Phyllis Rodgers who first conceived the idea in 2003, of starting a tea room and gift shop in the charming Victorian building at 606-608 Main Street. Prior to that, a plant and gift shop, a fine furniture store, two different drug stores, and a news agency occupied that address. See more details in the article below.